This beautifully designed ice-cream parlour is now in Rajouri garden, and this time aroundit's bigger and better. Goosebumps has got plenty of surprises packed into their menu for every craving you have- whether it's for chocolate or fresh fruits. 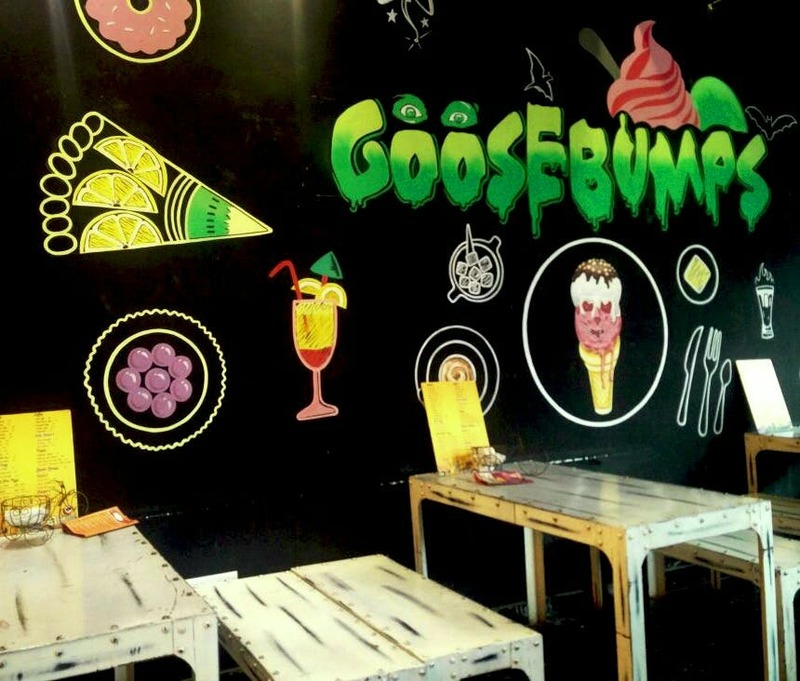 And it doesn't end at ice creams; Goosebumps has a whole range of shakes, baked products and snacks, including options for pizzas and pastas. The best part? While you're fawning and waiting for what they've got in store, they'll entertain you with some serious juggling skills (no jokes!) Goosebumps also has live music nights. They play all genres of songs from soulful and retro to peppy numbers, making it a go-to place for folks with a sweettooth in West Delhi. You can also enjoy their ice cream at home. And to my surprise, they delivered it most stylishly, nicely packed with dry ice. I'd love for goosebumps to work on its prices and become more pocket friendly. After all, a hole in a pocket isn't the sweetest end to an otherwise great experience. If you like your ice cream overloaded with chocolate, I'd recommend you try the Willy Wonka!